Recently Zurek, a well know physicist, famous about his out of the box approaches, published a paper on natural selection based on quantum computation principles. It’s main claim is that it explains the quantum-classical transition: why macroscopic physics obeys classical rules while the quantum world obeys the seemingly weird laws of quantum mechanics. That makes it a Big Idea. destroying the system under study. macroscopic scale. That rules out various kinds of quantum information. This complies with Campbell’s approach on non linear natural selection. All these quantum computational aspects will proportionally start to affect many areas of your modern understanding of nature. Do not forget that nature’s game of play is laws of physics and in the microscopic world or in thermal noise free environments nature is actually a quantum computer and state superposition can easily result to exponential large calculation with just a single gate level step!! Other studies about quantum brain and neuron microtubes, are rather bulk approaches since they do not take into account the brains thermal background. Environment is a noisy quantum channel with infinite degrees of freedom and strongly non diagonal density matrix, so often destroys quantum nature by simulating measurement operators and collapsing the wave-function! Nevertheless though, we are just now starting to understand how quantum information can be preserved even in noisy channels, knowledge that can dramatically change the way we understand both nature and ourselves. A very interesting implementation (unfortunately in flash ;-)) that uses gecoding for the postal code address lookup and street view API for home front reading. Lets you decorate with Christmas ornaments your house exterior, a very common habit in the United States and Northern Europe. This is my attempt, not so successful I have to admit. RSS Reader Feeds as an inspiration tool. OK most of you are aware that I am in the proposal writing industry (yiap, innovation and project writing defines a multibillion industry) and I ahve to admit there is no tool as inspiring as google RSS reader. My feeds span all the ne and emerging technology fields, so I digest more that 2000 feeds per day on many interdisciplinary areas. The inspiration mechanism works as follows in a rather GTD compliant way I might add, each good and possible product-creation idea I find, I share and star with the appropriate tagging for easily retrieval. Some times I send it immediately to friends and colleagues more relevant to the subject or that I know they are on something similar at that time. Ideas also are parsed from my rss and taxonomized in a managed news drupal installation, facilitating all nice features feeds API provides. Therefore when a new call is launched the only thing I have to do is feed my neurons with quality input and let synapses fire their best to come up with something innovative at the edge of scientific research both applied and principal. Cool documented and repeatable process that always has results. In addition, always ask why and always book some time for brainstorming with colleagues since this is when real thing are getting done in the idea formation perspective. My motivation to write all these things down was an idea we came up for an energy governance home device that attaches on your household’s electrical board inspired from here, provided and implemented from eiqenergy. Some ie6 bug prevent from properly clearing the options of a select html element. This is an issue the actual length that myselect.options.length statement returns. The smart way to do this is with a while loop. 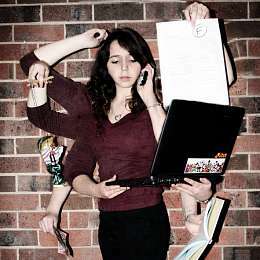 Multitasking and other Business urban legends. Multitaskers are suckers for irrelevancy. Everything distracts them. The irony is that even this partivcualr blog post is a product of multitasking in the irrelevancy playground. Sometimes a universal conjunction happens and you appear to be in the middle. Yesterday my S3Fox FF pluggin was denying me the privilege to create a bucket located in Amazon‘s Europe datacenter. Seemed to be a mallformed encoding issue on the url post of my secter key from the client. I figured what the hell, different server locations different locals or somenhting and blamed Amazon. Apparently, though this was ridiculous, took me much to figure out. Story goes as follows, after 30 minutes of coping with the problem I did a firefox restart due to memory being up to 1GB. Right after ff restart, I saw an S3Fox update that completely solved the problem. Astonishing how this coincidence worked out things. I wonder when will be the time where software will be build automatically and bugs will also treated by robots “in client presence”. Now that I reconsider it though, there will be no more bugs on software, but only features so proving truth to the old IT saying about bugs and features.